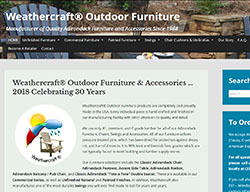 Manufacturer of custom-built Adirondack furniture and accessories. Format: Responsive WordPress Website. 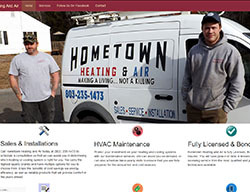 Hometown Heating And Air installs and maintains heating and cooling systems in Lancaster SC and surrounding communities. Format: Responsive HTML Website. 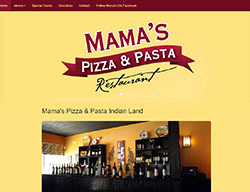 Authentic New York Style Pizza and Traditional Italian Favorites are featured at this Indian Land restaurant. Format: Responsive HTML Website. 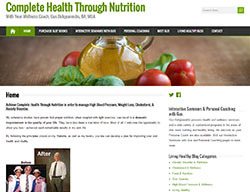 Gus Deligiannidis shares his 25-plus years worth of experience in the areas of nutrition and light exercise for achieving a healthy lifestyle. He also offers Personal Coaching and Interactive Seminars. 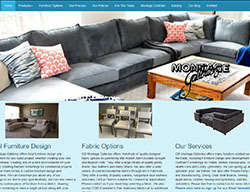 Format: Responsive WordPress Website. 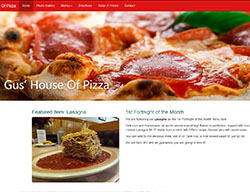 Located in Lancaster and Kershaw, South Carolina, Gus' House of Pizza and Gus' Family Pizza Restaurant offer Pizza as well as traditional Italian and Greek favorite dishes. Format: Responsive WordPress Website. 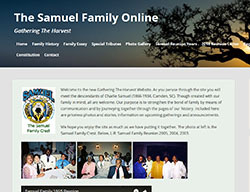 The Samuel Family Online Website documents the history of the Samuel family, providing information and registration details for their annual reunion event. Format: Responsive WordPress Website. The Pontian Society of the Southeastern United States (Argonaftes) promotes the history, heritage, educational and cultural activities related to Pontian Greeks and Greeks of Asia Minor. 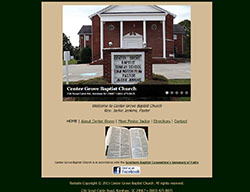 Format: Responsive WordPress Site. CSI-Montage Galleries offers handcrafted Sofas, Dining Chairs, Ottomans & Barstools, built from scratch in Hickory North Carolina. Format: Responsive HTML Website. 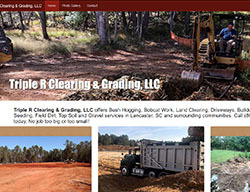 Triple R Clearing & Grading, LLC offers Bush Hogging, Bobcat Work, Land Clearing, Driveways, Bulldozer, Hydro Seeding, Field Dirt, Top Soil and Gravel services in Lancaster, SC and surrounding communities.Format: Responsive HTML Website. 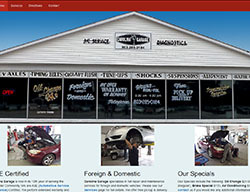 Carolina Garage offers full-service auto repair & maintenance in Lancaster, SC, including oil changes, brakes, air conditioning, tune-ups, shocks, & alignments. Format: Responsive HTML Website. 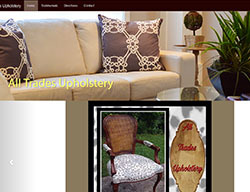 All Trades Upholstery offers Furniture Upholstery, Repair & Restoration in Columbia, SC Format: Responsive HTML Website. 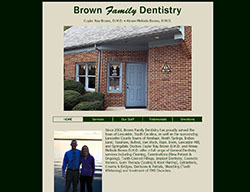 The Lancaster, South Carolina dental practice of Drs. Cuyler Ray and Aimee Brown. Format: HTML Website. 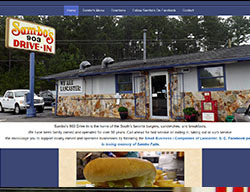 Sambo's 903 Drive-In is the home of the South's favorite burgers, sandwiches, and breakfasts, family owned and operated for over 50 years. Format: Responsive HTML Website. 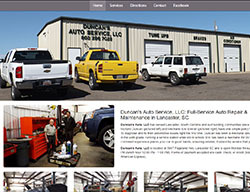 Duncan's Auto Service, LLC provides Full-Service Auto Repair & Maintenance in Lancaster, SC Format: Responsive HTML Website. 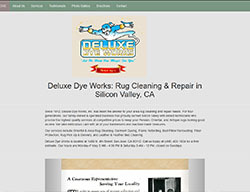 Deluxe Dye Works is located in San Jose, CA and offers Oriental & Area Rug Cleaning, Garment Dyeing, Flame Retarding, Bed Pillow Renovating, Fiber Protection, Pet Stain Removal, Rug Pick-Up & Delivery. Format: Responsive HTML Website. Website Copyright © 2016 Mike DeAngelis Strategic Marketing. All Rights Reserved.